The Bay of Islands is an ideal sailing playground. Step on board our stunning 42ft classic cutter rig yacht to experience this magical place from a whole new vantage point. Built from New Zealand native timber, Vigilant offers a comfortable and spacious sailing experience. Once on board, you’re welcome to sit back and relax while simultaneously taking in the spectacular views. If interested, you can certainly have a go at hoisting the sails and manning the helm of this beautiful boat. 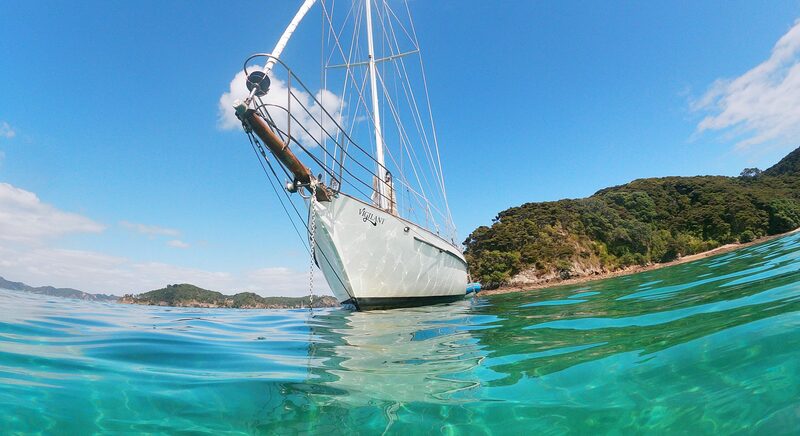 Your Skipper Nik will make sure your sailing adventure shows you the best the Bay of Islands has to offer. Available for shared day charters as well as private charters, Vigilant is ready to embark with you on the sailing adventure of your dreams here in the Bay of Islands.